If you've ever wondered how it feels to gut a man, Ninja Gaiden 3 might have the answers you seek. According to project leader Yosuke Hayashi, Ninja Gaiden 3 won't just be about cutting up hundreds of rival ninjas in what can only really be described as a "kill frenzy," it will also delve into what it means to be an Earthly manifestation of the Angel of Death. Hayashi, who took over as the head of Team Ninja following the departure of Tomonobu Itagaki in 2008, told PlayStation: The Official Magazine that Ninja Gaiden 3 would portray its protagonist, Ryu Hayabusa, as a "dark Japanese hero," and would examine his feelings, thoughts, and bizarrely, even his lifestyle. "We are trying to take the violent concepts even deeper," said Hayashi. "And make people realize how it feels to actually kill someone and what it is to actually gut someone." He said that it was important that people realized that there was more to the games violence than the gore. He also said that Team Ninja would be going back and trying to make the game more accessible. He said that didn't mean that it would be making the game easier necessarily, just that it wanted more people to be able to enjoy it. "We know that many fans feel good about the difficulty level, but we are taking a slightly different approach," he said. Furthermore, he revealed that the game would have a "complex multiplayer mode," but didn't elaborate on what it would be like. It remains to be seen whether this is really the right direction for the Ninja Gaiden series, especially as the violence and the punishing difficulty are two of the series' calling cards. What's more, the last time that Team Ninja tried to focus on a character's feelings and thoughts - namely those of Samus Aran in Metroid: Other M - it was roundly criticized for taking a strong female character and turning her into a overly loyal, yet petulant women with daddy issues. 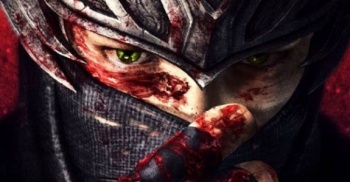 Ninja Gaiden 3 is set for simultaneous release on the PS3 and 360, although no release date has been announced just yet.